Stream anime episodes online for free, Watch One piece Episode 42 English version online and free episodes. Anime Episode guide One piece Episode 42 English dubbed Explosion! Fishman Arlong’s Fierce Assasult From The Sea! 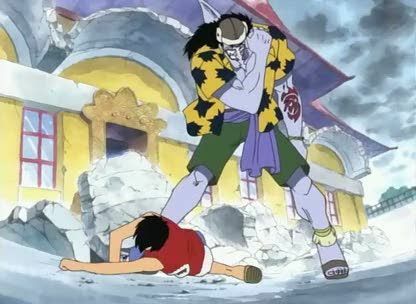 Luffy returns to the fight, and the battle with Arlong versus Luffy begins.